Please note that due to unforeseen circumstances, Decibel’s performance of Cage’s Variations has been cancelled. 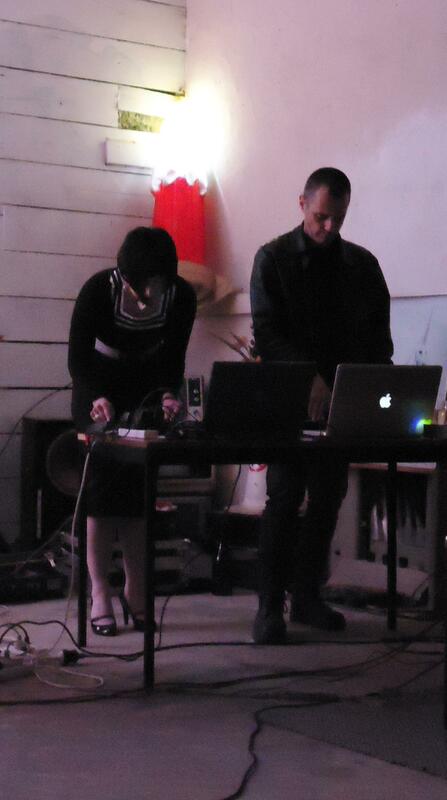 Body Waves is a live infrasonic performance whose sounds go beyond the auditory system to be felt in the body. The primary sound source in this exploration of vibroacoustic perception are the unique recordings made by Stanier Black-Five at the epicentre of the recent earthquakes in New Zealand, which capture the vibrations of its massive aftershocks, collapsing buildings and subsequent demolitions. Riddoch will transform this live performance using MaxMSP and digital mixing for quadraphonic spatialization and waveform extrapolation to accentuate lower frequency harmonics. Sinusoidal analysis will be used to convert the waveform data to controllers in order to automate the spatialization with live mixing to balance the enhanced infrasonics. The performance will emphasize somatic feedback to guide the improvisational aspects as the infrasonic soundscape evolves over time. Body Waves is a spatial work indeterminate with respect to performance and spatialized through a quadraphonic set-up to immerse its audience/participants in this visceral music of the body. This event featuring Australian ensembles on their European tour is also a warm-up for the week-long Goldsmiths Sound Showcase, Sho-Zyg, starting Thurs 20 Sep 2012.